New Mexico Department of Tourism Secretary Monique Jacobson joined the NMAF Executive Committee at its January meeting to discuss the state’s brand campaign to enhance tourism in New Mexico, and how NMAF members (and all residents) might further those efforts. Watch for the New Mexico Architectural Foundation to soon be featured on the www.NewMexico.org website, helping promote our state’s architectural adventures. 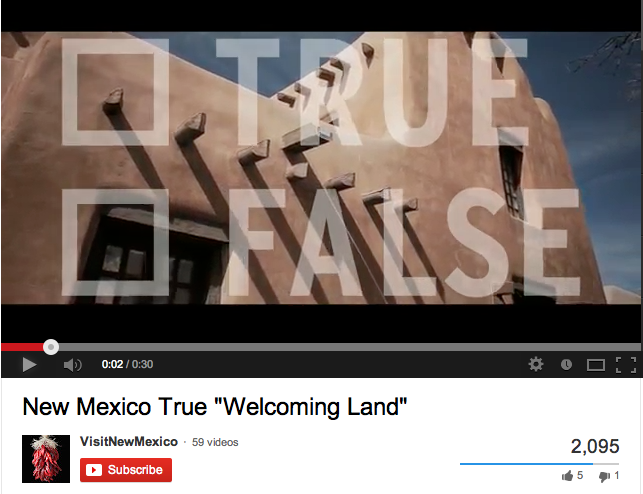 For more great videos, visit the “Visit New Mexico” YouTube page.